Dealing with legal problems can be overwhelming and alienating. Our client-centered philosophy allows us to focus on you and your needs in order to provide the proper support and guidance. We pride ourselves on listening to you, identifying your needs, and partnering with you to meet your goals. Fisher Law Group practices primarily in Family Law, but also provides representation in the areas of Criminal Law and Juvenile Law. Our expertise covers a wide array of topics within each of these areas of law. For more information about our individual areas of practice, read the detailed descriptions below. Getting in trouble with the law and be a stressful experience. Here at Fisher Law Group, we strive to make this experience as easy as possible for you. 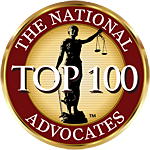 Our experienced attorneys work with you to help you reach the best outcome possible. Dealing with criminal charges can extend beyond the courtroom, and you need someone in your corner helping you through the process.